Summer is fast approaching. Students are starting to anticipate their summer vacation -- which means freedom from homework, quizzes, and long tests. However, we all know the all too familiar story: after a week of playing games and watching television, they will be complaining that they are bored. Parents are also not too keen on letting the television and gadgets babysit their kids during the two-month break so as early as now, they are already on the look out for summer programs that will keep their students occupied, without sacrificing any learning opportunities. In comes Galileo Enrichment Learning Program, which has been providing students with fun learning experiences all year round. 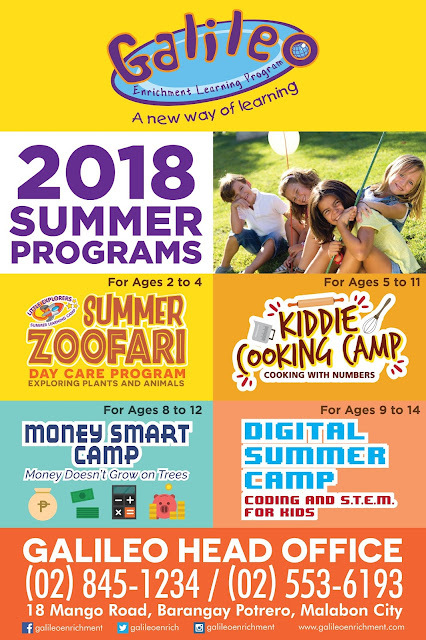 Besides the regular enrichment programs in English, Math, and Singapore Math, Galileo also has summer programs that teaches important life skills. Galileo understands that the world is rapidly changing and students should be equipped with certain skills that are not usually taught inside the classroom. 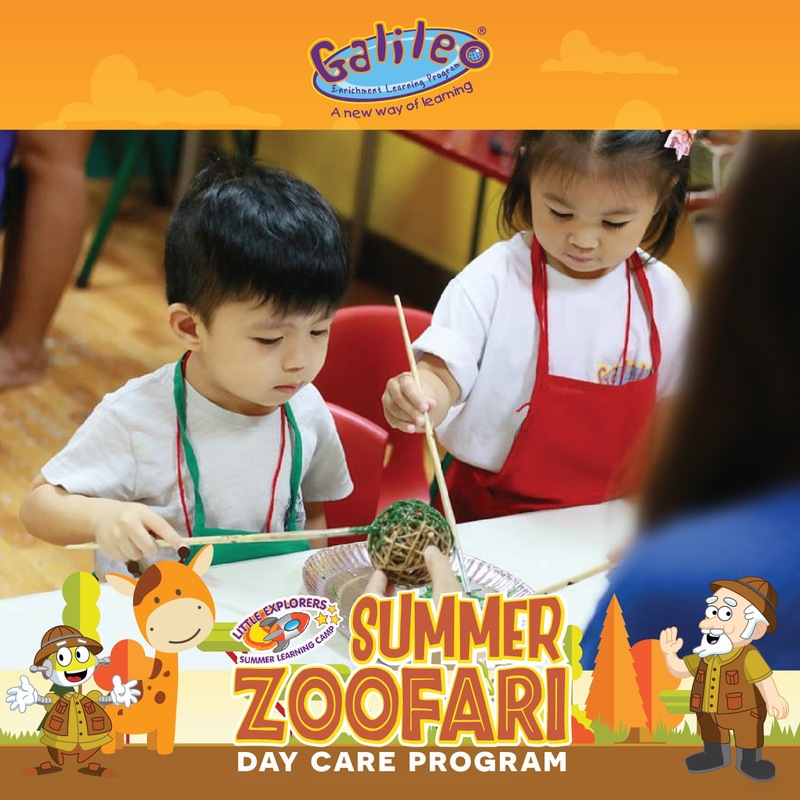 The Summer Learning Camp: Zoofari is a program for young learners aged 2 to 4. Through themed modules of plants and animals, students will develop his/her fine motor skills, musicality, and creativity, while learning basic numeracy and literacy skills. 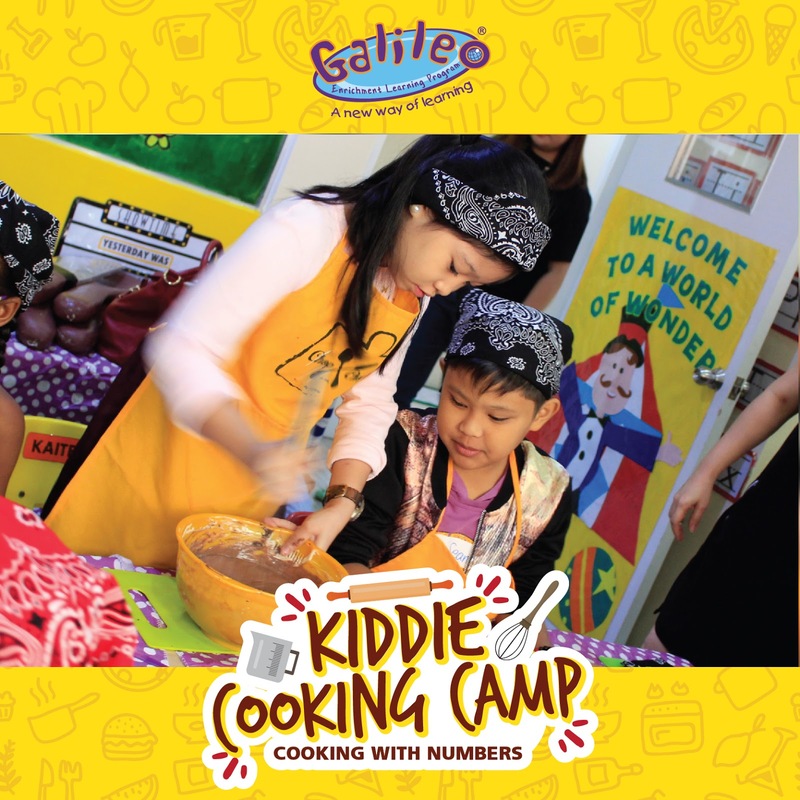 Kiddie Cooking Camp: Cooking with Numbers is a cooking and baking program for students aged 5 to 11 years old. Kids will develop their love for culinary arts and gain confidence in the kitchen while learning about different dishes from different countries around the world. 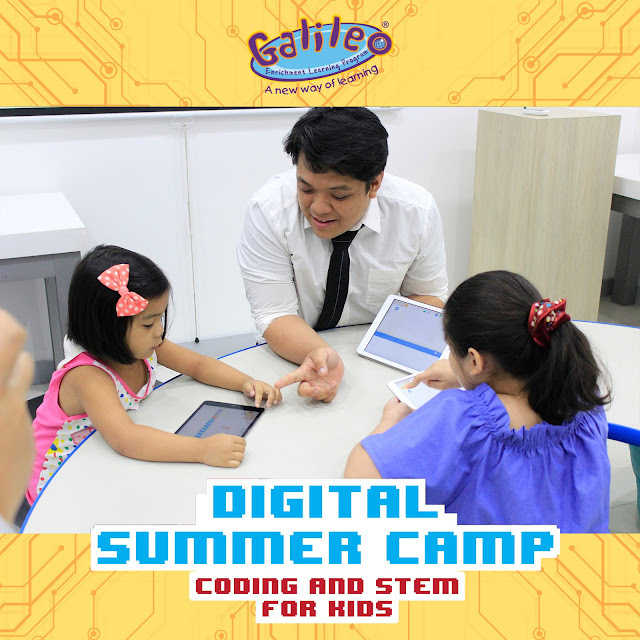 Now on it’s 5th year, the Digital Summer Camp touches on the technology side of learning. This program is in cooperation with Power Mac Center and is for students aged 9 to 14. This coding and STEM program teaches students innovation, creativity, and critical thinking through the use of digital tools and state of the art Apple devices. These programs are offered in select centers nationwide from April to May 2018. 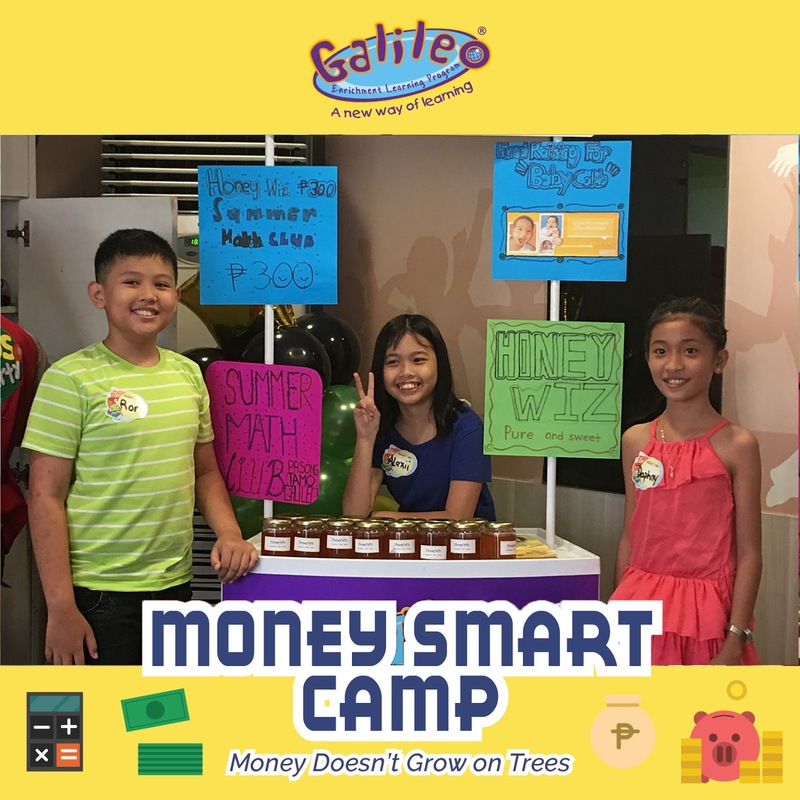 For more information and availability of slots, contact the Galileo Head Office at (02) 845-1234 or send an email to info@galileoenrichment.com.